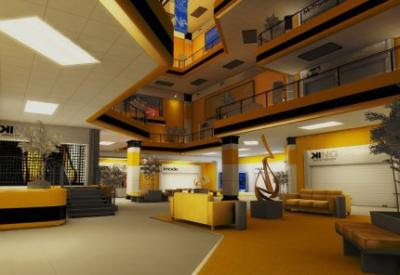 In all of the discussion I have had on the game recently, there's one thing I've neglected to mention in my thoughts about Mirror's Edge: the main reason why I love it so much. I didn't realise it at first but I believe Mirror's Edge appeals to me because of some common elements it shares with something else dear to my heart, racing games. By featuring a Time Trial mode, the game instantly delivers an experience I'm all too familiar with, but it's not as simple as that either; the important reason why I think Mirror's Edge resonates with me is because it feels like a racing game. Sounds a bit weird doesn't it? Mirror's Edge has no cars, isn't constrained to the tarmac of a track and has something most racing games don't, a story, so how can it feel like a racing game? For the most part, it doesn't. I think it'd be fair to say that the majority of players who play Mirror's Edge will only see the game's story and this definitely doesn't look, feel or seem like a racing game. The levels are made up of point-to-point affairs that are designed to service the plot and its urgency to get to places quickly, be it because Faith is being chased or because she needs to meet up with someone important. The game's main mechanic, Parkour, works with the story to provide the fresh, unique experience the game is known for and when you consider it on these merits alone, Mirror's Edge is certainly not a racing game. Some players, however, will continue playing after the story and will test their skills in the game's time trials or speed runs, and it is here that Mirror's Edge feels like a different game. By stripping it down to the essentials -- the running, climbing and jumping -- the time trials change Mirror's Edge into a game that is all about speed, precision and shaving precious tenths of a second off a set time. Downloading a ghost from the game's leaderboards may be valuable in showing you new routes throughout any given run, but it's also the motivating factor when it comes to improving your times. Having that visual representation is important as it's an immediate indication as to how you're progressing on a run. Seeing it ahead of you drives you to try and overcome the obstacles littered throughout a run faster than before and, at times, forces you to analyse the level to find new paths that may help shave off that valuable fraction of a second. This observe and adapt approach works in Mirror's Edge in the exact same way it does racing games and in both situations, it's absolutely critical to your overall time at the end. The speed runs also use this approach but instead apply it to the game's story levels. Their length as well as the inclusion of enemies and cut-scenes make it much harder to learn the routes, with the lack of a ghost to follow adding to this difficulty. Improving your times will come from repeated runs as you try different routes and get an idea of the levels you're working on in their entirety, instead of just a small portion of them as seen in the time trials. Eventually you will notice the flow of a level and things will start to come together but in the meantime, constantly redoing a level takes far too long and just isn't as enjoyable to play as the time trials. The levels are fine when it comes to conveying the game's plot, but in a mode where the plot and enemies are irrelevant, they're just lengthy affairs that require too much time and effort to learn. It's intriguing to consider how DICE used the mechanic of Parkour in Mirror's Edge to deliver what is almost two different games. On the one hand it was used to convey a fresh, unique gameplay experience that I believe the industry needed, but on the other hand the mechanic was used to provide an experience that is familiar to anyone who has played a racing game. The contrast stands out when you first notice it, but once you look at it some more you begin to realise that what DICE has done is quite remarkable, particularly when you remember that it's their first attempt. For me, I can appreciate the idea that they wanted to try something different with Mirror's Edge, but once that experience is over it's nice to know that I can return to a style of play I'm used to enjoying but have it take place in an entirely new setting. I've just installed iStripper, and now I enjoy having the hottest virtual strippers dancing on my taskbar.